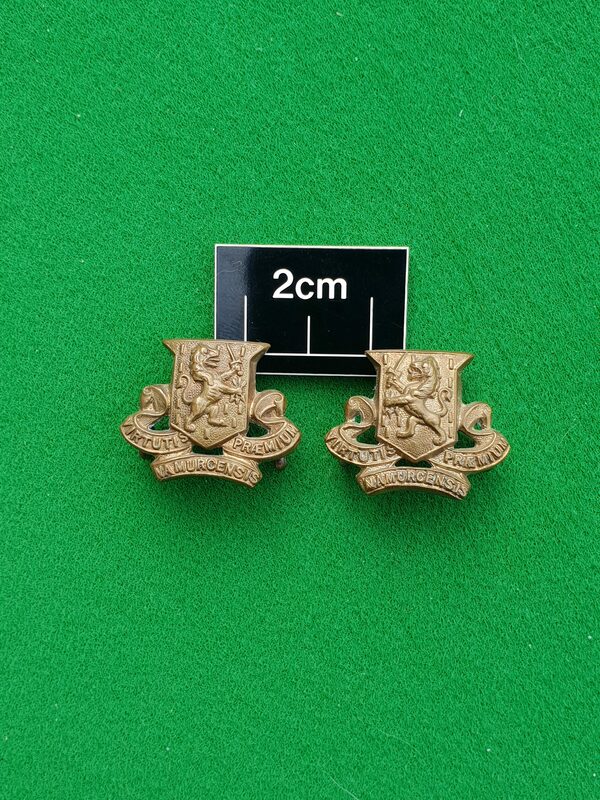 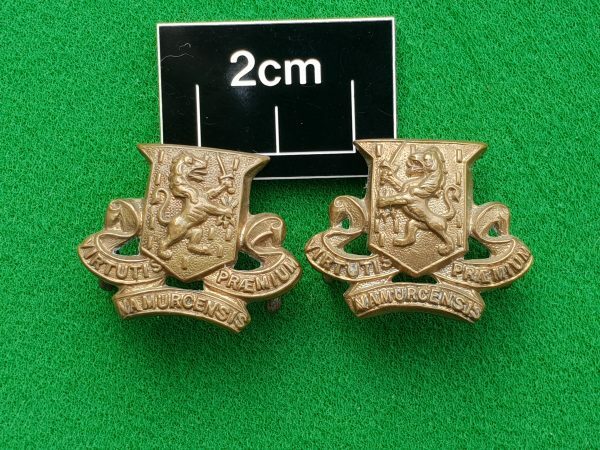 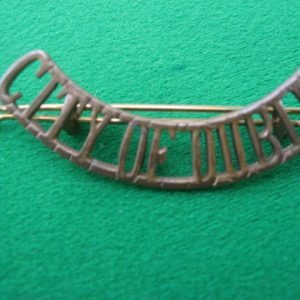 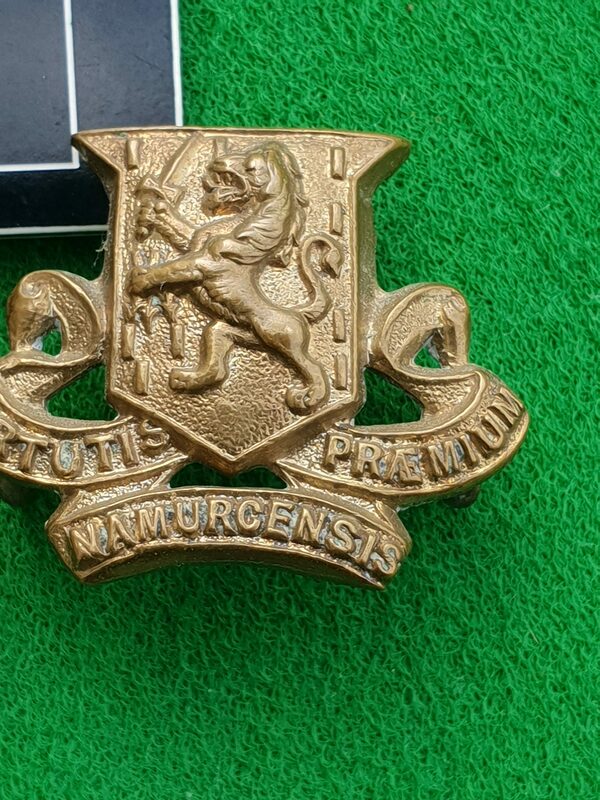 This is a “ROYAL IRISH REGIMENT ” collar badge set worn by an enlisted man in the Royal Irish Regiment (the Old Namurs). 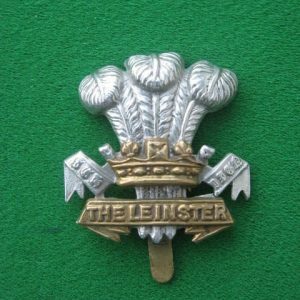 The 18th Royal Irish Regiment is the oldest of all the Irish Regiments dating back to 1684 and the Earl of Granard. 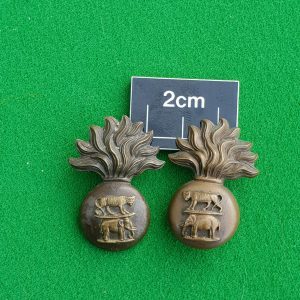 It saw considerable service in the Williamite wars and gained the battle honour “NAMUR” after the famous siege in 1695. 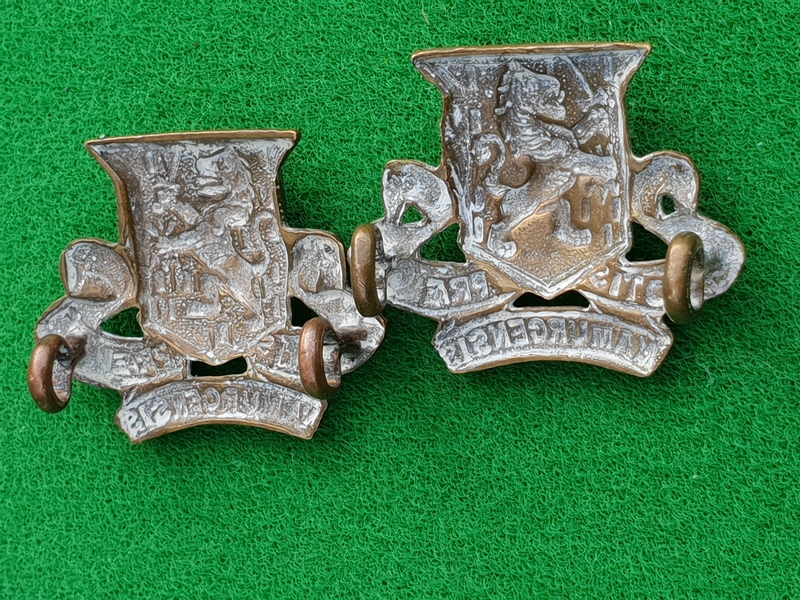 The collars are in excellent condition.